The high profile celebrity couple Kim Kardashian and Kanye West took time away from their busy lives and being parents to take a bootcamp class together! The duo were seen bright and early last Friday morning at Barry’s Bootcamp class in Sherman Oaks. Kardashian has been known for attending this popular celebrity bootcamp class, and West has attended a couple times before. With the media scrutiny that Kardashian has faced since having baby North West, she is working to get back to that great post-baby body like she had before. Insider told US that she has lost 40 pounds and has 10 left to lose. 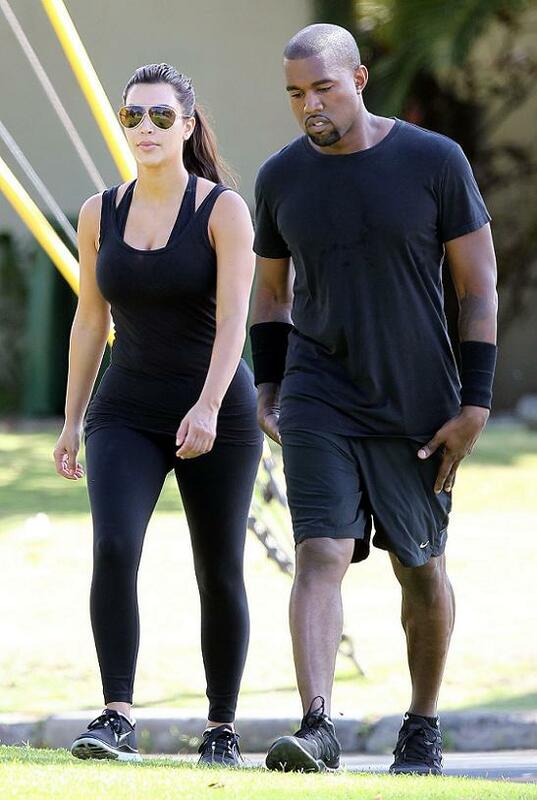 Great job Kimye, glad to see that you guys are incorporating fitness in your busy lives!